Ottawa, ON– Today, Leona Alleslev, MP for Aurora-Oak Ridges-Richmond Hill, stood up in the House of Commons and announced her decision to hold true to her personal values and leave the Liberal Caucus and join the Conservative Caucus. Leona Alleslev is a retired Captain with the Royal Canadian Air Force and former senior manager in the Department of National Defence, was elected as a Liberal in the 2015 federal election. “I welcome Leona to the Conservative Caucus and thank her for the courage she has in standing up for her constituents and demanding action from this Liberal Government. 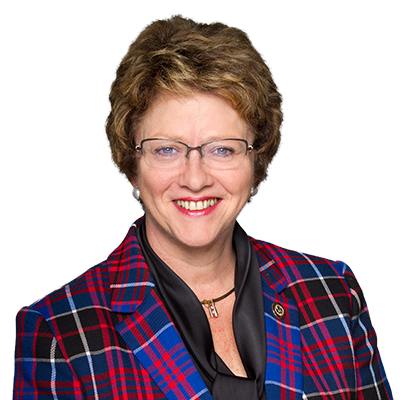 Our Conservative Caucus will continue to focus on real issues facing Canadians,” said Diane Finley.